Turkish President Recep Tayyip Erdogan’s slim success in the April 16, 2017 referendum election enhanced his power consistent with Mr. Erdogan’s statements going back to 2014 that he aspired to become the next Caliphate. The term Caliphate has significant meaning in the Muslim world. A Caliph is a prophet sent by God to provide just governance over all of Islam. This is on the level of miracles. The Caliphate was abolished by the secularization of Turkey 99 years ago. In about 570 AD, the Prophet Muhammad, “peace be upon you”, was born in Mecca, Saudi Arabia, the ancestral home of the Levant. The Prophet Muhammad believed he had been instructed by the Angel Gabriele to serve as God’s prophet whose purpose was to act as a messenger who should teach. The Prophet Muhammad institutionalized the “doctrine of “One Ruler, One Authority, One Mosque””, whereby a Caliphate is appointed by God’s to lead of all of Islam under a just system of Sharia governance. Mr. Erdogan belongs to Naqshbandi Tariqah, a major Sunni spiritual order of Sufism whose history traces back to the Prophet Muhammed, the origin of the Caliphate, and the Levantine. 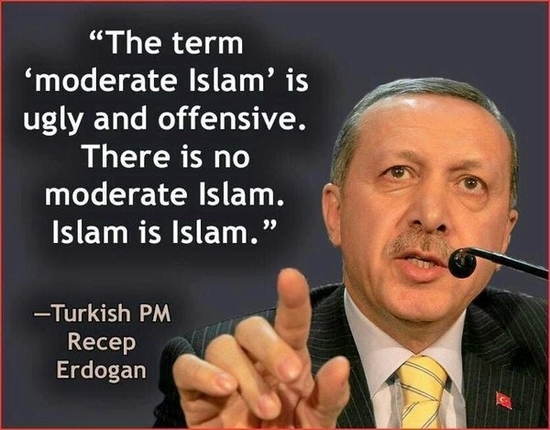 “Erdogan used the image of the caliphate and traditional Islamic values to gain popularity in the Middle East, expecting to gain it all over the world,” observed Ali Vyacheslav Polosin, Deputy Director of the Fund for Support of Islamic Culture, Science and Education. In 2015 Abdurrahman Dilipak, a deep operative for the National Intelligence Organization (MIT), posing as a writer, stated in speech given to AKP members in Toronto, that by switching to an executive presidency from a parliamentary democracy, Mr. Erdogan would assume the title of caliph. At 94, Kadir Misiroglu, who has worked with Erdogan since the 1980s, has been staunchly anti-secularist – his opinions dating back to the founder and first President of the Turkish Republic, Kemal Ataturk – claiming that Turkey’s incursions into Syria and Iraq will empower Mr. Erdogan to resurrect the Ottoman Empire and declare the caliphate. But, most telling is the number of recruits IS gained when reputedly assassinated leader Abu Bakr al-Baghdadi proclaimed himself Caliphate. Regardless of ideology, individuals from around the world who felt repressed by their own governments, most of which were unable to guaranty their personal safety or sustainable infrastructures, rushed to join his army. The bottom line is that the concept of a Caliphate is not a hard sale whether in an authoritative state, in under-developed Muslim countries or in developed countries where Muslims are more often than not stigmatized. Conversely, Mr. Erdogan’s campaign against the Turkish Kurds in Turkey and Syria does not bespeak of a prophet providing just governance. The Kurds are a Middle Eastern ethnic group, numbering 40 million worldwide; a majority of whom inhabit a contiguous area including parts of Iran, Southeastern Turkey and Northern Syria. While Kurds are overwhelmingly Muslim with the majority of Sunni descent, they are not of Levant descent but, so closely related to Iranian culture and linguistics that they refer to themselves Iranian. On July 15, 2016 Mr. Erdogan claimed victory over a failed coup d’état. Mr. Erdogan was alerted to the coup by Russian Federation President Vladimir Putin, not his own intelligence service or military, NATO’s Communications and Information Agency, or even the United States Intelligence Community. The rapid response had all of the trappings of staged scene. Black ops forces appeared at the hotel in where Mr. Erdogan was located, dropping down the side of the building on rope-lines. Fighter jets broke the sound barrier as they flew over Istanbul and Ankara, and tanks immediately took to the streets. Several broadcast text messages were even sent from Mr. Erdogan to Turkish cellphone users, calling them to the streets to defend their nation. Three hundred Turks lost their lives that night. 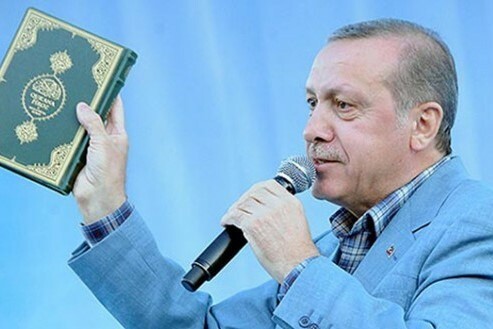 Mr. Erdogan immediately blamed the coup on Fethullah Gulen, a Sunni Muslim spiritual leader with a worldwide following who is a Pennsylvanian resident. The United States refused requests to extradite Mr. Gulen weakening historical ties between Washington and Ankara. According to an anonymous source in the Intelligence Community, if Mr. Gulen had been involved the NSA would have picked up on chatter on an impending coup. Given the United States’ interest in a stable, democratized Turkey, it would have warned Mr. Erdogan. 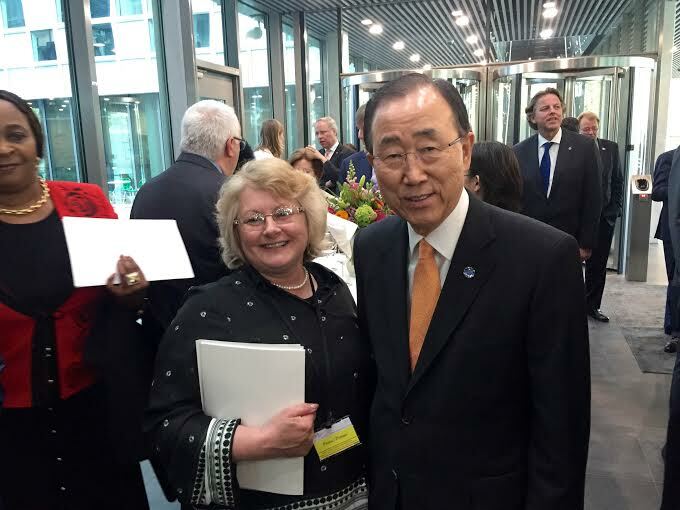 What really happened that night remains open to question but the truth remains that Mr. Erdogan has capitalized upon the coup widening the diplomatic gap with its Western allies and commitments. Following the July 15, 2016 unsuccessful coup, Mr. Erdogan called a state of emergency him the power to rule by decree, largely bypassing the legislative and rendering what remains of the judiciary fearful of making unbiased rulings. The failed coup also ended the era of the co-existence with the parallel states. The main component of the parallel structures has traditionally performed the Turkish army, which was constitutionally apolitical but, in reality, was determining Turkish political life. This privilege was given to the army during the Ottoman conquest and retained its purpose during the formation of the Turkish Republic. 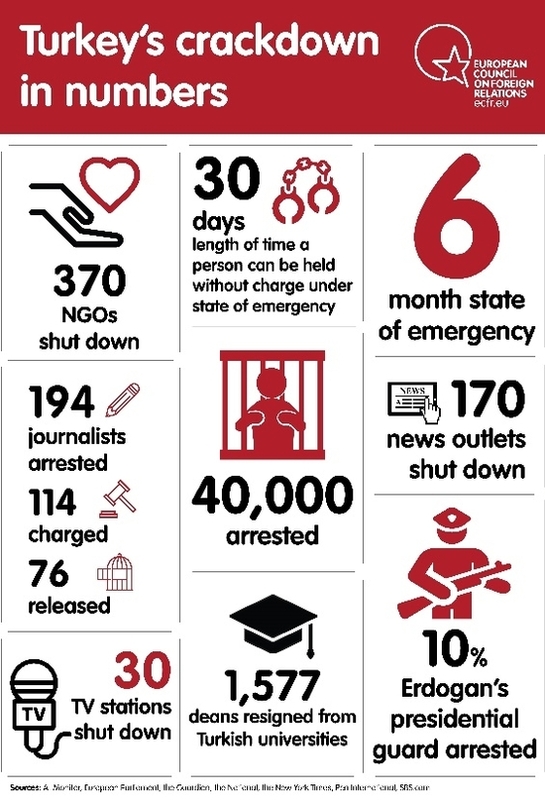 Over 140,000 people have been arrested, dismissed or suspended, press restrictions imposed, despite the government control over 90 percent of the Turkish media, journalists were imprisoned, and private property confiscated. There have been allegations of prisoners being tortured and even raped. Mr. Erdogan cancelled three million Turkish passports to prevent citizens from exiting the country. On 10 December 2016, a constitutional referendum election with 18 amendments was called. In every campaign Mr. Erdogan has unabashedly articulated that his political aspirations extend beyond Turkey to all Muslims much as Mr. Putin has stated over and over again that his role is to protect all individuals of Russian ethnicity or from former U.S.S.R. satellite states. Mr. Erdogan complained about the post-World War One downsizing of the Ottoman Empire from 20 million square kilometers to its current 780,000 square kilometers. Three years later, during the last years of Ottoman Empire, Sharia law and “the caliphate—the supreme politico-religious office of Islam, and symbol of the sultan’s claim to world leadership of all Muslims—was abolished,” and a secularized state formed. Even though less than 52% of Turkish voters approved the referendum, with the largest losses in Turkey’s major cities of Istanbul, Ankara and Izmir, the referendum bestowed unparalleled powers on Mr. Erdogan’s Presidency: the elimination of a prime minister, the ability to dissolve the Turkish parliament, appoint five out of thirteen Supreme Court justices, and issue public decrees without parliamentary approval. The election further bestowed upon Mr. Erdogan the possibility of remaining in office until 2029, or even longer, due to a loophole included in constitutional amendments. This places Mr. Erdogan one step closer to realizing his aspirations to be the next Caliph governing under Islamic law, a possible break Shia Muslim states, the European Union and, ultimately even, NATO. Immediately following his victory Erdogan visited the tomb of Mohammed’s companion Eyyub Al-Ansari Mehmet and the burial shrine of Ottoman Sultan Selim I. Selim I was the Ottoman Sultan who in 1517 defeated the Mamluk Sultanate in Egypt and thus became the caliph of the entire Muslim world. European election monitors said the referendum did not meet international standards. No doubt Mr. Erdogan’s apparent claim as the next Caliphate has further angered the Wahhabis, an Elite Saudi Sunni group which advocates that “One Ruler, One Authority, One Mosque” — the three pillars – refer only to the Saudi king. The Sunni-Shia conflict is 1,400 years in the making, dating back to the years immediately after the Prophet Mohammed’s death in 632 when the two sides clashed over naming a successor. In the Middle East Sunnis outnumber Shiites five to one. 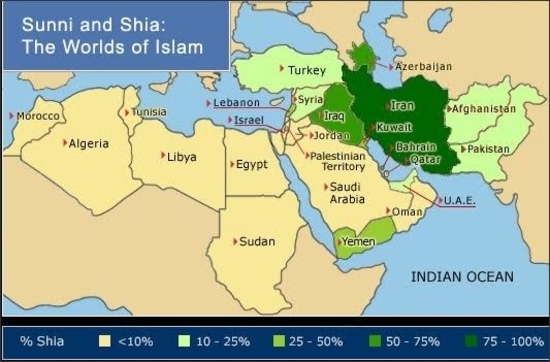 Only lran, Iraq, Azerbaijan and Bahrain have a Shia majority, although there are also significant Shia populations in Syria, Yemen, Lebanon, Kuwait, Syria and Qatar. Syrian President Bashar al-Assad and his family members are Shia Muslims while IS opposition Sunni dominated. While Yemen has been controlled by Sunni, in the ongoing proxy war Iran is backing Shia rebels while the Saudis are attempted to regain Sunni control. Qatar represents the most recent proxy. A Saudi led Sunni contingency, including the United Arab Emirates, Egypt and Bahrain, imposed a comprehensive embargo and blockade of land, sea, and air routes against Qatar. The dispute arose from allegations that Qatar financed terrorism, including the Muslim Brotherhood favored by Mr. Erdogan. While oil rich, Qatar lacks the other natural resources to provide sustenance and even employment; as 12 percent of Qatari rely on foreign employment. To fill grocery store shelves with food Turkey and Iran have sent 100s of planeloads of food and supplies to provide for the Qatari. Now, on June 20, 2016, the group has imposed a list of 13 nonnegotiable condition that, that Qatar must comply with within 10 days, including expelling Turkey from its air force base in Qatar. A NATO member nation, Turkey has sought European Union membership since 2005. The early reasons for exclusion were no more or less than ‘Turkey was too big, too poor and, above all, too Muslim to qualify.’ The refugee crisis began tilting toward, minimally, more favorable terms but, post-coup, when Mr. Erdogan abandoned a constitutional democracy in favor of an authoritarian government, such as that of Mr. Putin, he basically has abandoned any aspirations of Western acceptance. The last signs that Mr. Erdogan has given up on the EU is in his push to reinstate the death penalty; viewed as a human rights violation by the EU, and increasing tensions with NATO, whose regional peacekeeping operations are dependent upon Turkey’s central location. According to an unconfirmed report, Turkey’s National Intelligence Organization, Russia and Turkey have agreed in principal that Russia would gain dominance in Orthodox countries in the Balkans, and Turkey would control Muslim dominated countries of Albania, Kosovo, Macedonia, and Bosnia. “Turkey will have the opportunity of managing the new relations with the various Turkmen and Ottoman communities, while Russia (and Iran) will have the possibility of creating a large Asian economic community, which is designed to replace the symbiotic relationship between Europe and the United States,” opined foreign policy analyst Elia Valori Gioncarlo. The European Commission on Foreign Relations has also raised this issue but with some skepticism. Ankara and Moscow have engaged in warming relations. Russia has lifted the 2015 ban on imports of Turkish food, and the ban on Turkish workers in the construction sector, in tourism and in hotel businesses. This translates into a hefty amount of income for Ankara as prior to the ban, Turkish food exports food to Russia worth more than €1bn annually. But, this is nothing compared to the symbiotic oil relationship between the two countries. Moscow is looking for an alternative to Ukraine to run a Gazprom pipeline to the Black Sea. Journalist Fareed Zakaria observed that Putinism consists of five fundamentals: religion, nationalism, social conservatism, state capitalism and government media control. “Returning to the values of religion” — in particular Orthodox Christianity — is a powerful theme in Putin’s agenda, with a global vision of “protecting persecuted Christians all over the world.” Replace “Christian” with “Muslim,” and one has Turkey’s ruling ideology. Akyol, Mustafa, “Does Erdogan want his own Islamic state?” AL-Monitor, April 29, 2016. Aydintasbas, Asli, “Trouble on the tracks: Averting the Turkey-EU ‘train wreck’”, European Commission on Foreign Relations. ‘Baskan Erdogan, Yavuz Sultan Selim Hanin turbesinde’, via YouTube. Detmer, Jamie, “Critics, Even Supporters Say: Erdogan is the Man Who Would Be Caliph“, October 27, 2015, Voice of America. Elia Valori, Giancarlo, “The new great Middle East game between Russia and Turkey,” April 5, 2016, Modern Diplomacy. Lane, Gary, “Turkey’s Erdogan: Islam’s New Caliph?” April 19, 2017, CBN News. Lumbard, Joseph E. B., “Introduction toSurat al-Fatihah,” The Study Quran, p. 4 (San Francisco: Harper One, 2015). Kavkaza, V., “How Erdogan uses idea of caliphate,” December 9, 2014, Vestnik. Maloof, F., “Turkish President Gathers Power to Fulfill Islamic ‘Caliphate’ Vision: Angling for constitutional change to maintain authority,” October 29, 2014, Wind. “Turkey-EU Politics”, January 6, 2015, Bloomberg. “Turkey says goodbye to a parallel state”, July 18, 2016, Contact. “What’s the appeal of a caliphate?” October 24, 2014, BBC News Magazine.